"Spruce up interior spaces by incorporating this eye-catching hue in paint, accent pieces, and accessories. As adaptable as it is beautiful, Radiant Orchid complements olive and deeper hunter greens, and offers a gorgeous combination when paired with turquoise, teal, and even light yellows. Likewise, the vibrant color is sure to liven up neutrals including gray, beige, and taupe. 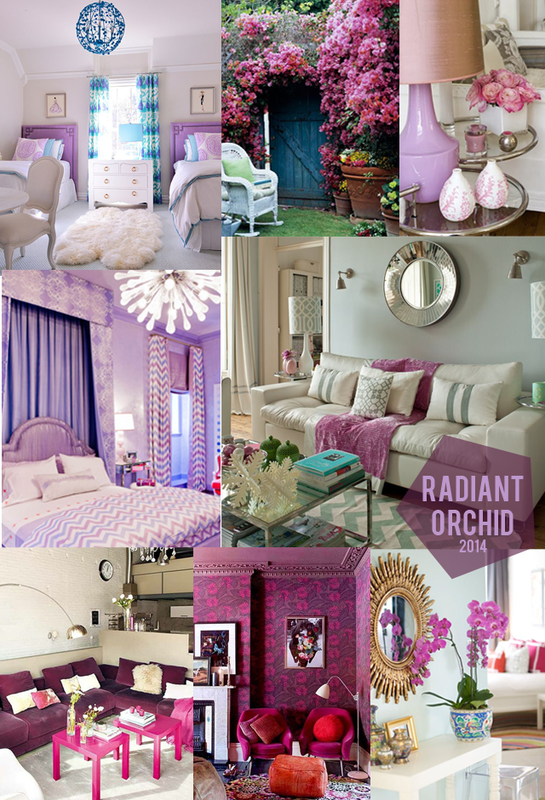 Uplifting and bold without being overpowering, Radiant Orchid reenergizes almost any color palette and provides a unifying element for diverse spaces."